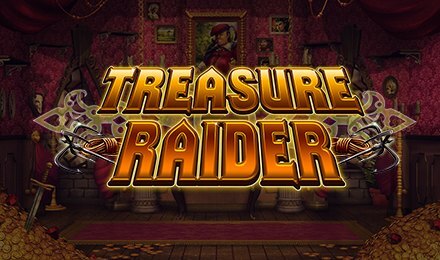 Created by Bally Wulff, Treasure Raider is an instant win game, which offers 8 chances of winning. This game has been added at Moon Games and is playable on either tablet, laptop or mobile phone. Themed on gems, the display of the game shows the inside of a tent where these gems have been hidden. Stay silent and try to collect the most rewarding gems from the merchant. And, as you help the countess in her quest, she may give you some wins! As you kick off this game, you will face the display of the game, which hides 19 vases. You will be offered 8 picks, and your aim is to reveal the gems which pay the most. In the event that you manage to match 3 identical symbols, you will be awarded the corresponding prize. Bet Levels: There’s no bet levels on Treasure Raider instant win game. Coin Values: Choose any stakes which range from £0.50 to £200.00..
Once the game round is completed, the winnings will be added to your account.